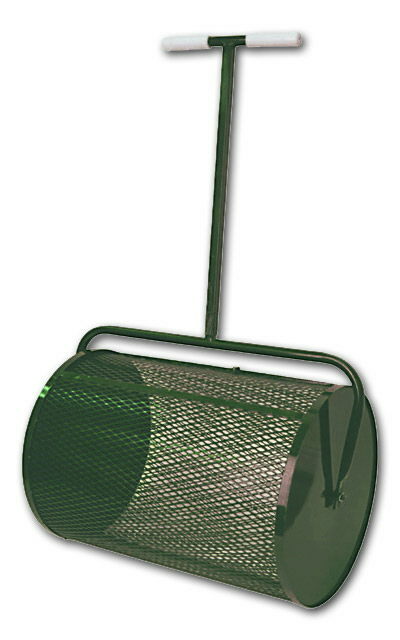 small mesh roller to spread peat moss type fine grain mulch evenly. works well to cover grass seed when planting new lawns. * Please call us for any questions on our spreaders peat moss small hole rentals in Portland OR, Gresham OR, Milwaukee OR, and surrounding metro area.